Hey everyone! 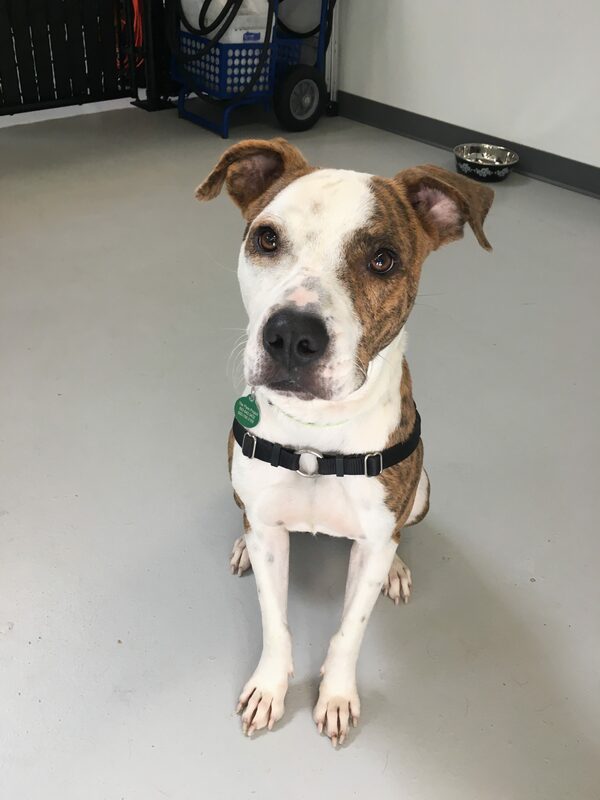 My name is Finch and I am a gorgeous 2 year old, 45lb Staffy mix. As you can see, I am not only handsome, but am smart too! I know some basic commands like sit and with a few treats and your help, I can learn even more! I love to go for my afternoon walks and even went on a special hike with a Pixie staff member to Sauvie Island! We had a blast and it made me realize that I would just love to be an active adventure pup. Swimming holes, hiking up mountains, running through the forest trails-you name it! After a long day of discovery, I would enjoy coming home to a quiet environment owned by my potential adopters, and snuggle with my human friends ages 10 and up. I enjoy playing with my pup pals and I would especially love a girl dog companion. No cats for me please! Did I mention I love tug? It’s my favorite game! I am a total sweetheart with an active soul looking for that special place to call home. Will it be yours? Fill out an application today, so we can meet. I come to you neutered, vaccinated, and micro-chipped with an adoption fee of $300.